Over the last few years we have seen the rise and rise of what was once a dying trend. All over the country the humble ‘book club’ has seen a renaissance as friends have gathered in living rooms, cafes, coffee shops, parks and town halls all over the country to discuss books and share their favourite novels over a cuppa, cakes, or a good glass of wine. 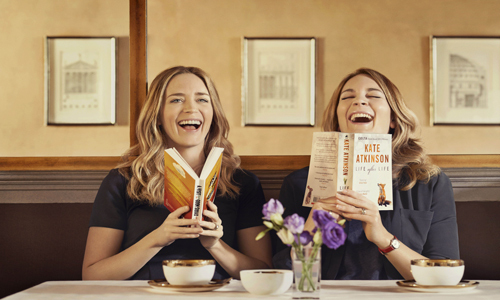 In honour of the fabulous new trend for book clubs of all shapes and sizes, The Baileys Women’s Prize for Fiction have started a #ThisBookClub campaign to celebrate the modern day book club and the many different ways that sharing stories can bring people together. 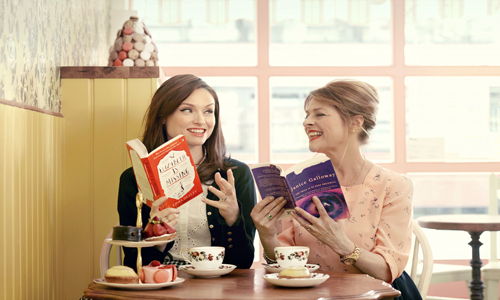 To launch their #ThisBookClub campaign, actress Emily Blunt and her sister, singer and Strictly star Sophie Ellis-Bextor and her mum, and high-street queen Mary Portas and her wife, fashion editor Melanie Rickey – have all be snapped with each other and the novels written by women that they most want to share with one another. Have you read any of the books recommended by these famous faces? Or do you have your own book club you want to tell us about? Then let us know below!